Welcome to the first MAGMAacademy newsletter in 2019. We look forward to an interesting year with you and hope that you enjoy reading our newsletter! Please note that the MAGMASOFT® 5.4 Update Training – High Pressure Die Casting is only scheduled to take place until the end of March of 2019. Have you not yet attended this training? Just contact us and ask for a training date. This spring is all about high pressure die casting, as currently our MAGMASOFT® 5.4 Update Training – High Pressure Die Casting is on offer. 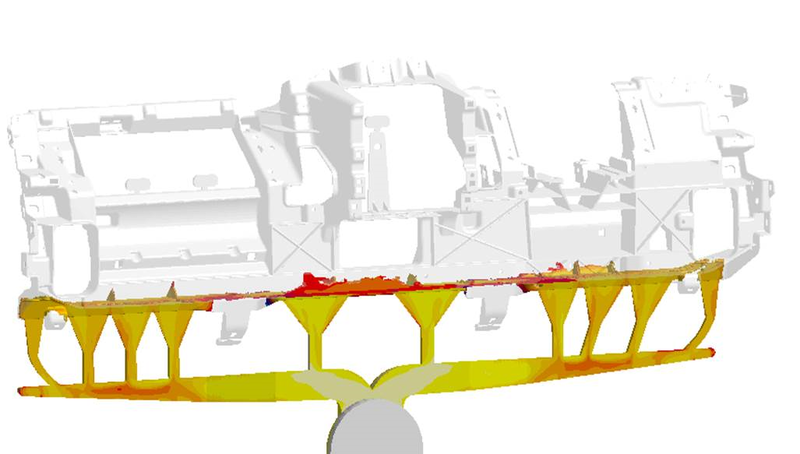 Appropriately, in today’s article, you learn how to design a flow-optimized runner for a structural casting using MAGMASOFT®. At the end of today’s article, you will find news for MAGMASOFT® from the support section of our website. Benefit from the knowledge from the MAGMAtips and the video tutorials! 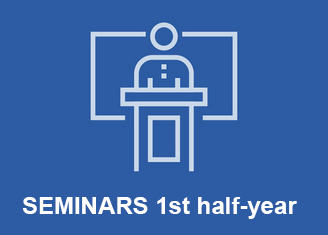 Here, you can find an overview of all our training events, workshops and seminars. ATTENTION: Make sure to ask for a training date for the "MAGMASOFT® 5.4 Update Training – High Pressure Die Casting"
A robust high pressure die casting process is the result of different coordinated parameters. 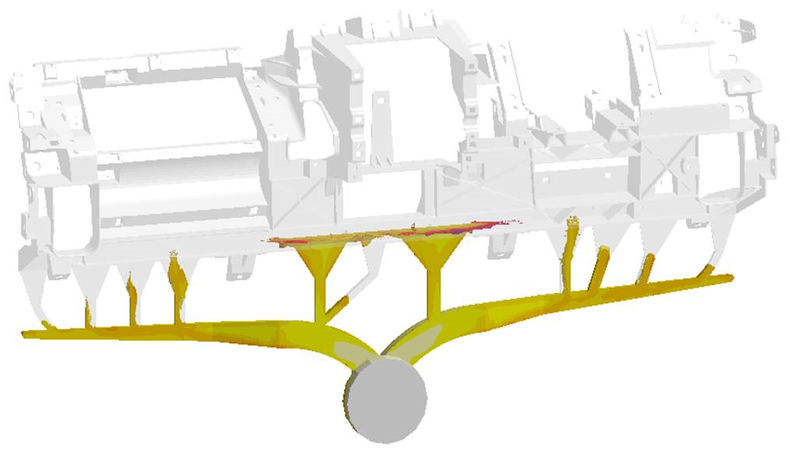 In this context, the flow-optimized design of the runner and gating system is a key element for creating a robust process for castings with minimum defects. During the conception of the runner system, different requirements need to be considered: If possible, in a multi-cavity die, the melt is to reach all gates simultaneously; at the same time, the aim is to prevent air entrapments caused by melt flow shadows and ensure that the melt is transported through the runners to the gates with as little turbulence as possible. The simulation results allow evaluating the flow behavior. Quality criteria calculated in different ways enable a quantitative evaluation of defect potentials caused by an unoptimized melt flow both in the runner and in the cavity. The following images show the example of the runner system for a structural casting: After having changed the position of individual runner segments, the melt now reaches the individual gate segments simultaneously. This largely prevents the splashing of metal from individual gates onto mold walls. Figure 1: The simulation reveals that the central gates have already filled up due to a suboptimal runner design. Figure 2: The melt reaches all gates exactly at the switching point. Extend your knowledge around the high pressure die casting process in our seminar Simulation and High Pressure Die Casting – Basics, Process Design, Casting System Calculation, which can take place as an in-house seminar upon request. This seminar gives you an overview of the individual parts of the process, from determining the machine size up to the gate design. Using concrete examples, the fundamental flow behavior for different runner systems is discussed, thus providing the basics for designing gate systems for robust high pressure die casting processes. In the advanced seminar Methodological High Pressure Die Casting, MAGMA experts explain how to methodologically proceed when analyzing the process. Using concrete, hands-on examples, they will discuss with you how to systematically and sustainably improve the design of tools and processes also in your company.